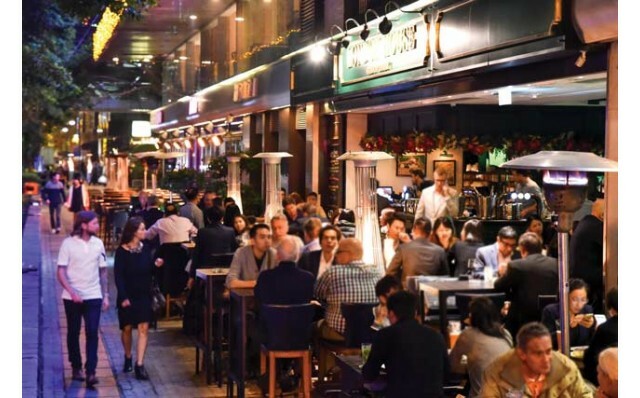 Alfresco Lane, located at Tsim Sha Tsui (TST) East harbourfront in Kowloon, is a favourite hotspot for both gourmet dining and social get-togethers in a relaxed setting. Opposite the TST promenade and newly opened Avenue of the Stars, it’s easily accessible via MTR and ground transports. The Lane offers a unique alfresco dining experience, offering a wide range of restaurants for rugby fans to watch the games, partake in delicious food and favourite drinks, and enjoy the spectacular harbour views. The walk back to the hotels in TST and neighbouring Hung Hom are just as pleasant. Brotzeit German Bier Bar & Restaurant: This friendly restaurant is perfect to watch rugby, down your favourite beer, and enjoy good, hearty, authentic, German food. 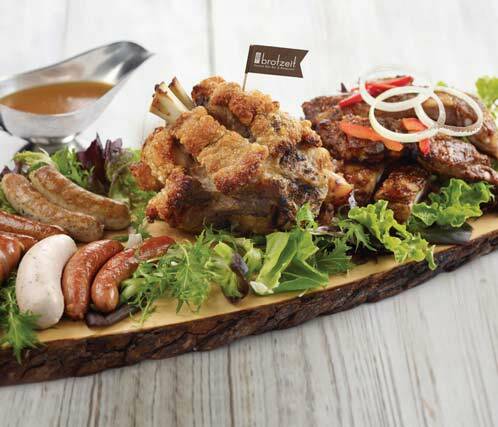 Try the Brotzeit Platter with signature pork knuckle and five kinds of sausages, plus honey Bavarian pork ribs and two side dishes of your choice for $768 and eat and drink to your heart’s content. London House Gordon Ramsay: The two-storey London House in Alfresco Lane by the eponymous celebrity chef exudes a strong English Pub ambience. 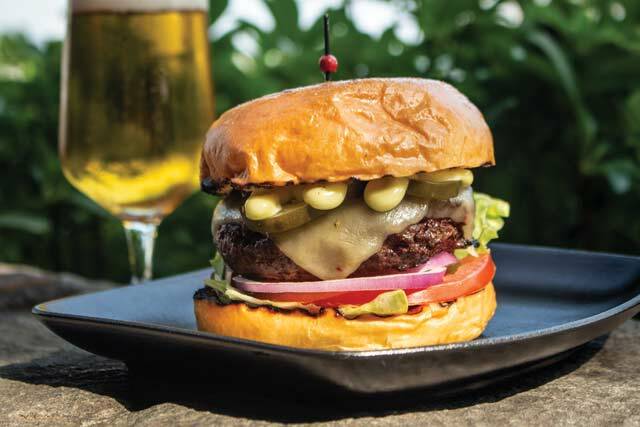 Why not head to London House with your friends and enjoy the “Rugby Sevens Specials” – beef burger with skin-on-chips and a bottle of Carlsberg ($178) and make your night unforgettable. Pizza Express: This popular pizza joint is great for sharing a zesty, finger licking good pizza while taking in the buzz of the city. 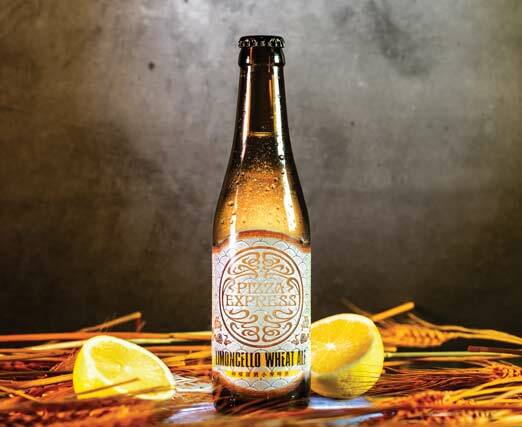 Check out its local beer PizzaExpress x Moozen Limoncello Whet Ale in which the popular Italian liqueur Limoncello is skilfully blended into a local beer or its healthy Avocado Quinoa salad. And, the pizza is always great! Wooloomooloo Steakhouse: This steakhouse, which is famous for their premium Australian beef, is a beef lover’s delight. 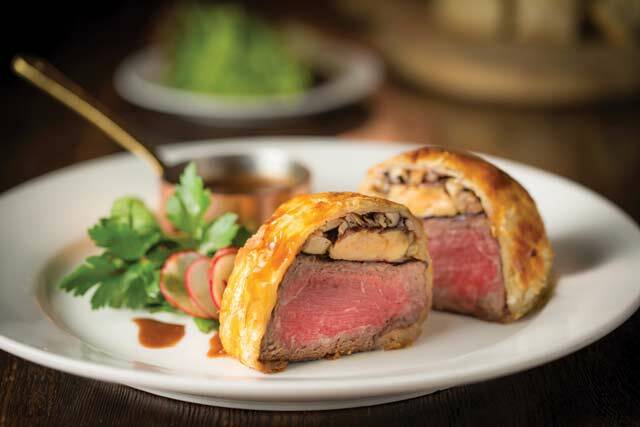 Check out the Wooloomooloo Crab Cake and its signature Beef Wellington, its 8-oz tenderloin force de tour, plus a curated collection of fine wines.